My dad and I joined good friend Jason Hagani and his dad, Jim, for an unbelievable weekend in Miami, Florida (late afternoon on Saturday, the 14th to late afternoon on Monday, the 16th). Our main purpose of the trip was to watch the Dolphins-Patriots game at Sun Life Stadium on Sunday, December 15. 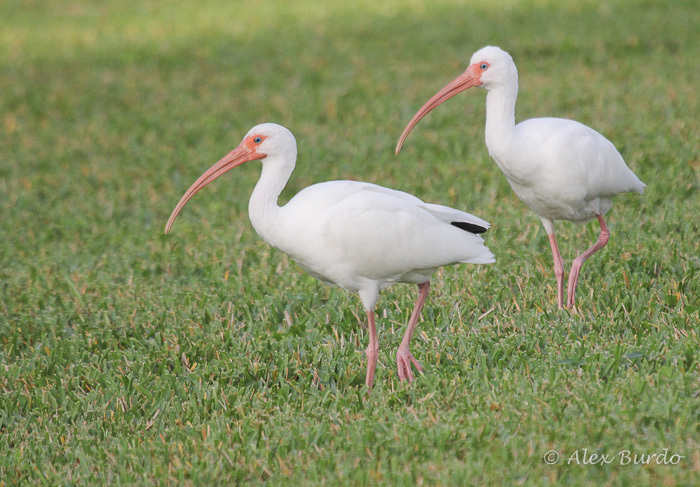 In between the game and some good food, we were able to sneak in a little birding, including a trip to the Kendall Baptist Hospital on Sunday morning, and a short jaunt to Everglades National Park the following day, before our flight home. Having visited the Miami area multiple times in years past, most recently at the end of 2011, I knew going into the trip that there weren’t likely to be any new birds for me to catch up with, save for a new exotic or two. Thus, my planned stop for Sunday morning became more about just a fun birding adventure than it was a hard push for a certain target. I ended up choosing the Baptist Hospital in Kendall to fill this void, as it had been one of my favorite locations visited on that 2011 trip. Although brimming with what some would call “dirty” exotic species, the Kendall Baptist Hospital is a terrific spot to witness the melting pot of birds that come together here, much like the nationalities that inhabit the city. Many of these exotics have now established viable breeding populations, a good number of which are considered “countable”, which in a rough sense means that they have been established for fifteen or more years with a stable or increasing population at the time of addition onto the state list (see the ABA website for “Criteria Determining Establishment of Exotics”). The birding at the KBH entails walking the picturesque hospital grounds off of North Kendall Drive, before proceeding across this busy street and hitting the neighborhoods north of the hospital. 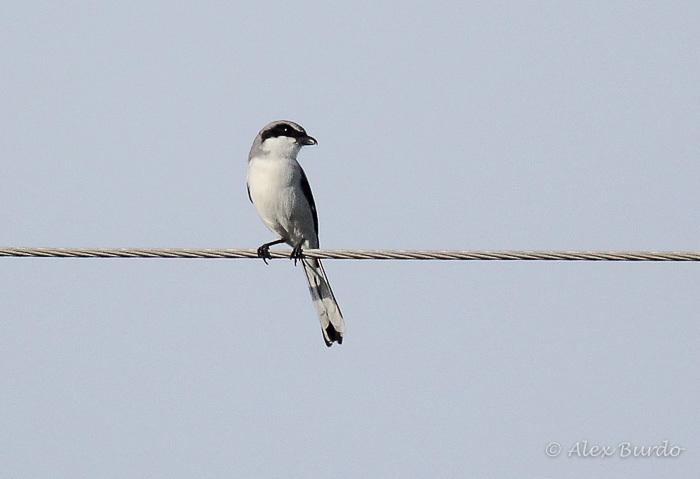 Having birded the location previously, I’ve been able to connect with all of the primary targets here, including species like Spot-breasted Oriole and Hill Myna (both of which we didn’t see at this location this time around). 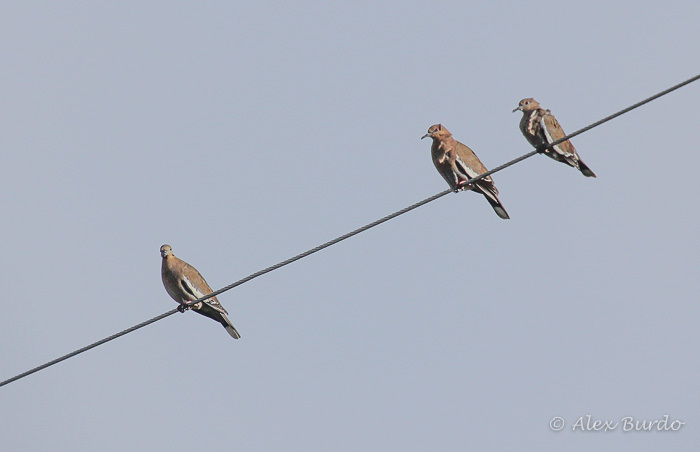 However, I was looking forward to seeing a few of these birds again, and maybe connecting with a non countable Miami exotic I’d had yet to run into (I’ve seen all of the countable exotic species), of which my top target was Yellow-chevroned Parakeet. Arriving at the hospital just a few minutes after sunrise on the 15th, we began near the two large hospital ponds. Highlights here included Muscovy Duck (of the feral Florida population that is technically countable, although I’d much prefer a countable bird on the Rio Grande to make that tick feel a little better), Pied-billed Grebe, Little Blue Heron, Tricolored Heron and American Coot. 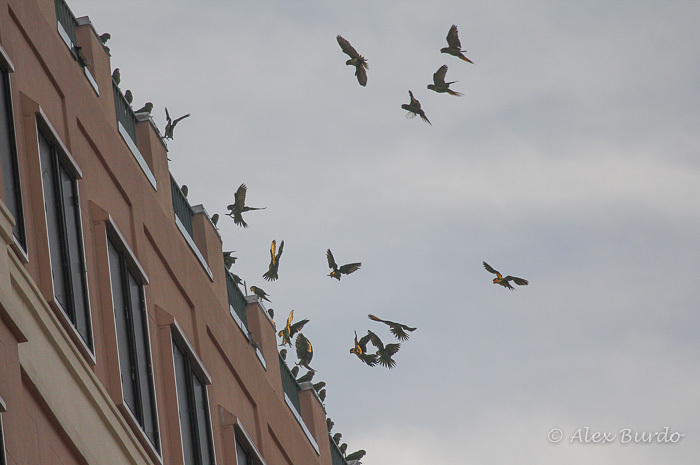 In the same general area, we noted Blue-gray Gnatcatcher and Yellow-throated Warbler in the trees lining the parking lot, and a good number (~50) of Mitred Parakeets making quite the raucous from their positions on the hospital facade. 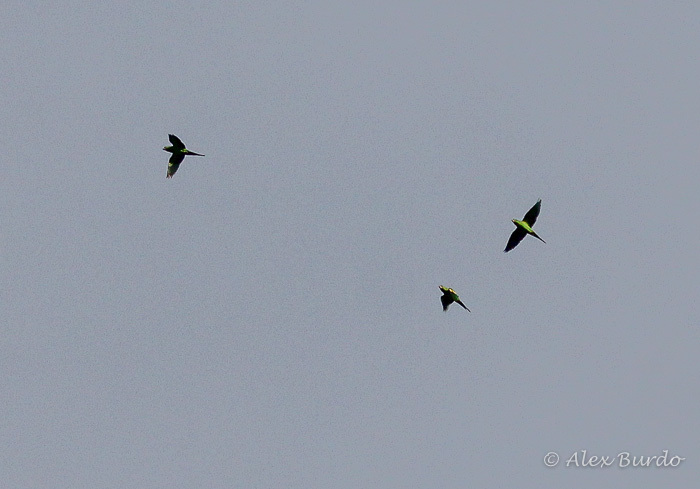 Soon after, we nailed a small group of Yellow-chevroned Parakeets, calling as they flew over. A first for me (the only one of the trip), this species is currently considered non countable by both the ABA CLC and the FOSRC, which is pretty silly. I have yet to hear a good defense for not adding this species to these lists. If White-winged Parakeet (a similar species with a smaller population) is on there, there’s no reason why Yellow-chevroned Parakeet should not be added as well. Oh well, I’m counting ’em. A pair of another non countable exotic, Egyptian Goose, was spotted across the westernmost pond, sitting in exactly the same spot as a pair (likely the same birds) two years before. 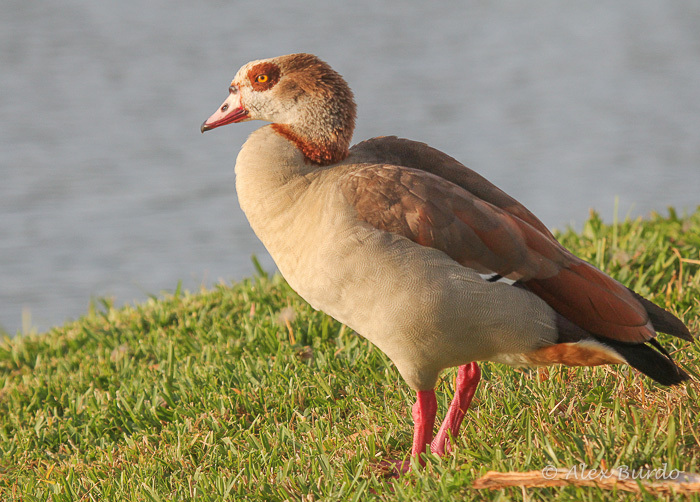 Interestingly enough, Egyptian Goose appears to be approaching countability with a sizable population in the Miami area. We took some time to study and photograph these beautiful geese, while flocks of Mitred Parakeets made themselves heard overhead. Moving on to the neighborhood across North Kendall Drive from the hospital, we noted birds such as White-winged Dove, Ruby-throated Hummingbird, Loggerhead Shrike, Palm Warbler and others. 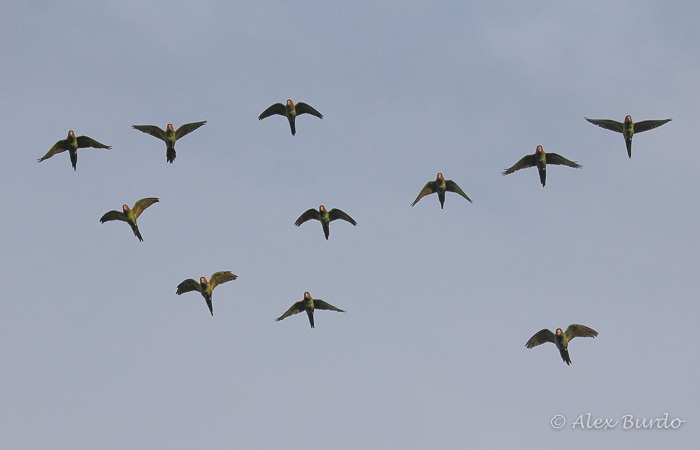 More Yellow-chevroned Parakeets and Mitred Parakeets made their way overhead. 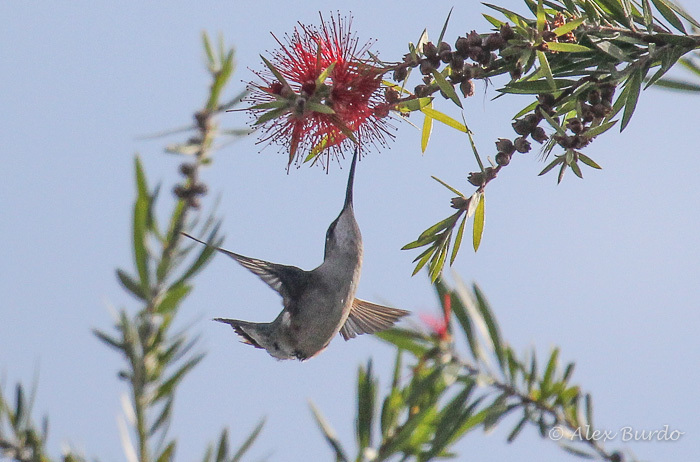 Thanks to a tip from a nearby birder, we were able to connect with a Red-whiskered Bulbul on one of the neighborhood intersections, sharing a bottlebrush tree with one of the hummingbirds. It was the first time I’d seen this countable exotic in a couple of years, and capped off a great return trip to the Kendall Baptist Hospital. 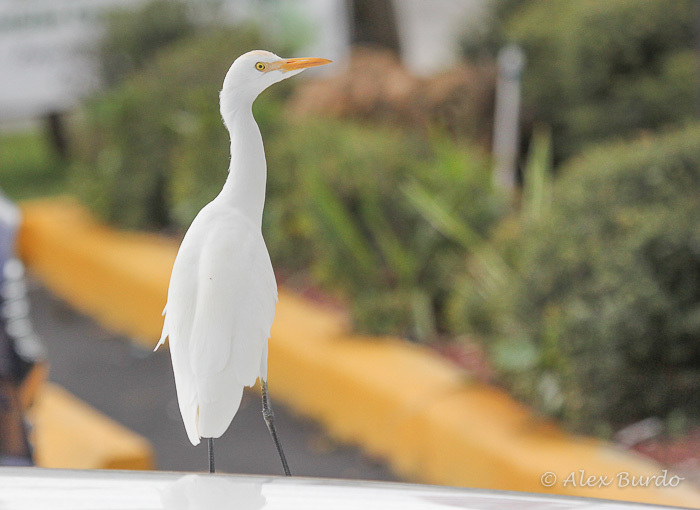 Addendum: while stopping for breakfast after our visit to the hospital, we noticed a Cattle Egret perched on a nearby car. This bird showed very well (as do so many of these common birds in Florida), before flying off and landing on another car, and then heading out of sight. This entry was posted in Elsewhere Birding. Bookmark the permalink. I’ve always enjoyed birding for exotics in Dade County and at Kendal Baptist. Another nearby location is the University of Miami campus in Coral Gables. Best time to visit is when the school is not in-class. 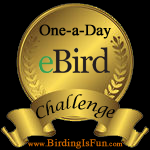 On one visit we had the breast-spotted oriole, hill myna, white-winged parakeet and chestnut-fronted macaw. Blue and yellow macaws are routinely seen here as well. Subscribe to Flight of the Scrub-Jay! Subscribe to Flight of the Scrub-Jay and receive notifications of new posts by email! All photos on this site are © Alex Burdo 2009-2015. Please do not use any of them without my permission. If you're interested in using one of my photos for any reason, email me at aburdo10 AT gmail.com. Thanks!